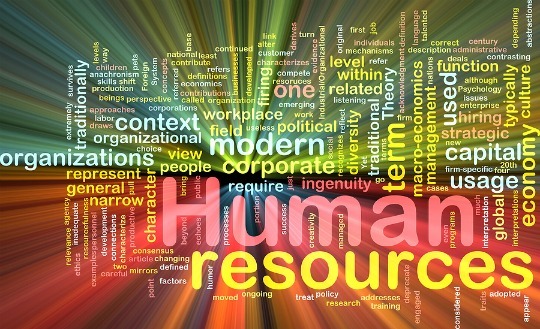 No matter what the job market looks like, human resources may be a good career choice for you. Almost every company, regardless of what they do, has an HR department. You won’t find that kind of variety of potential employers in many other fields. In fact, the Bureau of Labor Statistics Occupational Outlook Handbook predicts that the number of jobs in most HR positions will continue to rise faster than the average for all occupations well into the next decade. Having excellent “people skills” is probably the most important requirement for successful HR professionals, but it certainly isn’t the only one. HR professionals must also possess strong organizational skills and the ability to multitask, think strategically and be a team player. These attributes are common across most professional career fields and help to explain why people from many different backgrounds gravitate toward HR jobs. Diplomacy: Most employees have the luxury of working for a single person, the boss. Not HR professionals. In human resources, it is important to balance the needs of both the management and the employees, as a group and as individuals. Ethics & Fairness: In many ways, you are the moral compass of a company. In today’s business climate, executives are always being tempted to cut corners to improve the bottom line. It’s the responsibility of HR to knowledgeably present the other side of the argument when potential policy changes would cost more in human resources than they would save in financial resources. And it’s not always about dollars and cents. For instance, if a pattern of discrimination or harassment presents itself, it is up to HR to document the facts, speak out and put a stop to it. Confidentiality: HR professionals not only keep the company’s personnel records, they also are routinely privy to delicate personal matters and disputes. The utmost discretion is absolutely essential at all times. Continuous Quality Improvement: Every manager strives for this, no matter what department he/she represents. However, it falls on HR in a more broad sense. HR is tasked with providing ongoing training and professional development opportunities for a company’s entire workforce. What Types Of Jobs Can I Get In HR? Recruiters & Hiring Managers: These people canvas colleges, headhunters and even the competition for prospective new employees. They craft employment ad campaigns, job postings and decide where to place them. Then it’s time for interviews, testing, candidate selection, and deciding where to best place new recruits. Training & Development Coordinators: If you have an education background, this may be the place for you. Developing procedure manuals and policy handbooks as well as designing, planning and executing many different types and levels of training fall into this area. Activities can range from a company-wide sexual harassment seminar to professional development for sales staff to a safety in-service for warehouse personnel. Compensation & Benefits Specialists: Compensation specialists write job descriptions, establish pay scales (including deferred compensation like stock options and retirement plans) and incentive plans, set employee evaluation policy, and make sure all of the above is implemented fairly and appropriately. Benefits specialists handle the company’s fringe benefits, which can entail a lot more than health and life insurance these days. Not only do they help employees understand what’s offered, they also need to track cost effectiveness and make plan changes when necessary. Employee & Labor Relations: This is where the aforementioned diplomacy comes into play, but it isn’t just about handling disputes as they arise. Employee relations specialists must make sure the lines of communication are always open, designing employee-management relationships that are effective for both parties. Labor relations specialists handle collective bargaining, grievances and contract negotiations in union shops. Safety & Security Experts: People working in this sub-specialty may have completely different backgrounds than other HR professionals, perhaps in science or law enforcement fields. They design health and safety protocol, do inspections, collect data and file reports for internal use or as required by government officials. Remember, as an HR professional, you aren’t limited to working for private companies. You may want to seek out third parties like employment agencies, government, and consulting firms. What Career Trajectory Can I Expect? There is ample opportunity for growth and advancement in human resources. Regardless of the skills and formal education you come in with, there are many aspects of HR you simply cannot learn until you’re on the job. The experience you garner will help you decide on a specialization and plan your career path. Entry-level HR positions go by many different names. Look for something along the lines of HR analyst or associate. These should give you the chance to explore many of the fields listed above that comprise the human resources profession. You will perform assigned tasks as part of larger projects, under a manager’s close supervision. After 3-4 years in an entry-level position, you may have the opportunity to become an HR manager. This will require choosing a specialty area like hiring, training or benefits. Within that area you will be responsible for an entire program, like recruiting new hires or administering the company’s health insurance plan options. From there, if you decide to move on to upper management, your next move may be dictated by your company’s size and how its hierarchy is structured. An HR director may oversee the entire department or a large subdivision of it. Larger corporations may have HR Vice Presidents or even a C-level position which again can go by many names, including Chief HR Officer or Chief People Officer. Whatever title these top positions go by, they are responsible for the company’s overall human resources strategy. Human resources can be a promising career for people from a wide variety of educational and professional backgrounds because there are so many different prospective employers and diverse specialties within the field. In addition to being a “people person,” there are several other personal attributes you will want to cultivate to flourish in a sector that requires the utmost discretion, diplomacy and unwavering ethics. If you have the whole package, you can look forward to a long, lucrative career in HR where the rewards go far beyond annual incomes. Erin Palmer works with Villanova University’s human resources masters degree online. Villanova also offers PHR certification courses. Erin can be reached on Twitter @Erin_E_Palmer.